Most small children can remember the simple and catchy phrase “Only you can prevent forest fires”. It encourages the receiver of the message to take responsibility, is short, simple and sticks in your head. 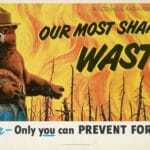 “Only you can prevent forest fires” is as well known in America as “from sea to shining sea”. Who doesn’t love a bear in dungarees and a forest service hat? Similarly to Walt Disney’s characters in Bambi animals have a classic appeal for both adults and children alike. Mascots elicit immediate empathy, camaraderie, ownership, and are entirely relatable, just like your favorite sports team mascot. Smokey teaches children to love our environment, and care for natural resources that belong to us all. Educational campaigns that help the environment, our self esteem, encourage good behavior towards each other are heartwarming and appeal to everyone. Having a catchphrase that addresses the viewer specifically was a classic tactic of wartime campaigns and puts responsibility and pride on taking responsibility on the target of the campaign. 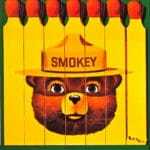 Smokey inspired personal responsibility and pride, as all catchy educational campaigns can. 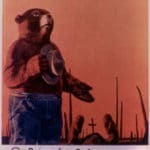 Part of the success of Smokey was that the target audience was both children and adults. When the message appealed the entire family, the whole family could be engaged in proper forest fire prevention while they are out camping. Finally, Smokey was so successful because of the appeal of a cartoon character softened the message that that humans were responsible for their actions and that potentially could result in drastic consequences if procedures were not followed. Children and adults alike could relate to a cartoon character and absorb the information more easily. After Pearl Harbor, authorities became concerned that domestic wildfires could draw resources away from the war effort. 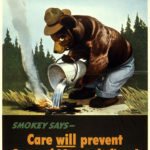 So the Cooperative Forest Fire Prevention (CFFP) program created posters and slogans, including "Forest Fires Aid the Enemy," and "Our Carelessness, Their Secret Weapon." 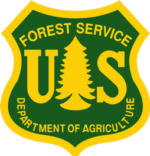 Disney's "Bambi" put cute forest animals front and center, so the Forest Service jumped on the Bambi-wagon and decided to use animated forest characters to prevent forest fires. 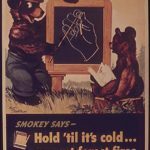 As one of the longest running educational public service advertising campaign in U.S. history, Smokey Bear got his start reminding Americans that "Only you can prevent forest fires” — a tagline 70% of Americans can remember without prompting.